About half population of states have an ambitious working style. Benjamin P. Hardy, writer, organizational psychiatrist, quotes “The fastest way to make success inevitable in your life is to only do work that is incentive-based”. Indeed, it is. His theory is hard to be unaccepted since it reasons well with reality. The American working culture proves every word of his theory. Humans avoid situations that put them at downside. People who eliminates all the risk factors and shield themselves from the consequences can not produce any effective growth. Avoiding perilous situations might not give results but drain your time and effort. Nelson Mandela said once, “Courage is not the absence of fear, but triumphing over it”. The mindset, that doesn’t allow confronting a difficult environment cannot make you accountable and screens you from rapid growth. Being accountable for your actions. The working style that lets you to enjoy the perks for high quality work and punishes for low quality is the best. Incentive based working system gives results. It goes against many job structures- paid on an hourly basis/Indian employee hierarchy. For a rapid stride, take actions that let you to have complete ownership of your decisions. Instead of getting paid for the time, paychecks written for the quality of work gives improvement. Ask this question to yourself and your team. In an entrepreneur environment, it is critical that all the people should focus on results, not time. If your focus is on results, then you are part of the results economy. 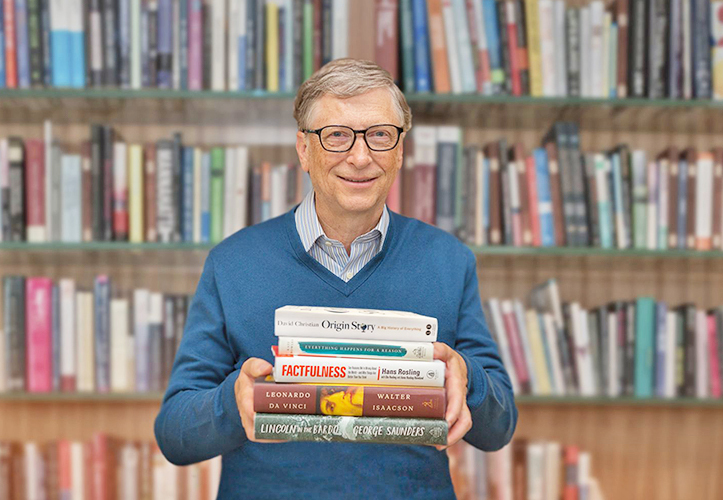 People who runs their own business, startup owners, entrepreneurs are all part of the results economy. You have plenty of freedom that comes over the time and money. You always expand opportunities by minimizing time, that is the only security you believe. However, your team members will be in the time and effort economy. They are raised on the belief of regular paychecks and hours of work. The employee troops is accustomed to believe staying late night and working overtime gives merits. Benjamin steps in here with his idea, copied from Sullivan, that people who work in the time and effort economy are shielded. When there are no results, they are protected through answers like, “We stayed all night”. There is no force to necessity of solutions, answers or results and concludes to, restricted freedom and afraid to break the rules do exist. Dr Thomas J. Stanley found in his experiment, that who are paid based on the results rather than the time are courageous, wealthy and part of the results economy. Take risks, give results, be it bad or good. Enjoy the rewards for the good and take responsibility for the bad ones. If you are an employee working for an entrepreneur, you have to cross the line and jump into the results economy. 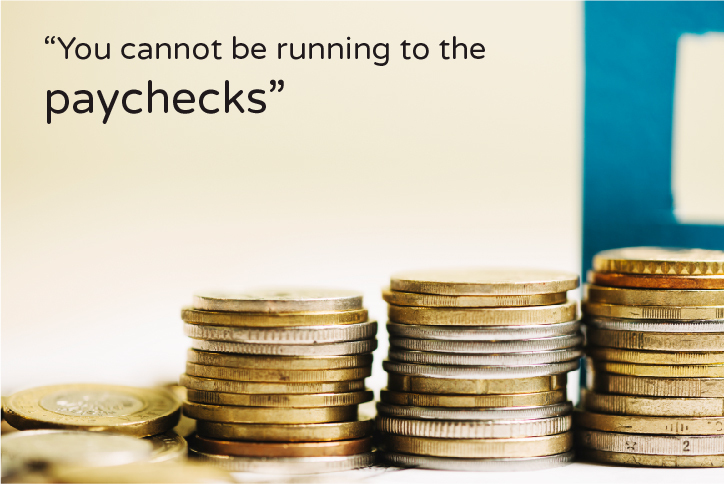 It is hard to straddle between both the economies, but you can still try to focus on what your boss needs rather than what he demands. Let me show you in this article, how to be part of the result driven environment. Flow is a state where you operate on a normal level and engaged to the work. It is your usual talent level when you are 100% devoted to the work. For example, a writer can write 100 words in an hour, then that is said to be his flow state. Go ahead, yourself and challenge on your threshold values. If 100 words/hour is triggered to reach 1000 words/hour, you are becoming result oriented person and working on the quality. To disrupt this flow, you have to expose your vulnerability. Eliminate shields like vague answers to deadlines and tasks. One way to excel in the flow state is to make your deadlines public, show your goals to all of your team. Strive to finish the work before the deadline. Even, if your work is not completed, push the button and get honest, brutal feedback that gives either A+ or a trash comment. This working style that is driving you through external factors like public deadlines, immediate feedbacks are called as “forcing functions”. Forcing functions are the external factors that force you to function in order to deliver results. One of the ways to get your team constantly focused on results is to have them challenge themselves to do their roles in ways that are faster, easier, cheaper, and better. Self motivation – works 10%. A fine example to my theory is the movie, “The day earth stood still”. Well, the plot says planet earth will be revamped by removing only humans because they are not keeping the planet clean and safe. And in the climax, the demand that is kept is you change or you die. Anybody would choose the change option. That is the power of external motivation. Humans deliver the necessity only at the brink of time. When you know you are getting immediate feedback to your work, you run towards the demands. It forces you to function in the desired way that company demands, because motivation is situational and external. Ready to lose your stakes? The two relationships explained by Mr. Hardy is transformational and transactional. Most relationships are transactional — where one party makes the rules and the other party abides by it. Once the member of the group is unsatisfied by the terms of the relationship, it comes to an end. People in these relationships are “takers”, not genuine “givers”. In transformational relationships — both people are “givers” who contribute to evolution of the relationship. There is a lot of openness, freedom and no worry about losing stakes. They are clear that both the parties are focused on the same target in the same way. In an Indian company, it is hard to develop a transformational relationship. It is due to the work culture that is based on various external criteria including even religion or caste. The workforce hierarchy makes employees to do tasks that is instructed or directed. They are working for the paychecks and have more to lose. Failure – is not seen as a bump in the road but treated as an end of the road. Capital – access is limited. Investors show interest in the profit proven working model of business. Workforce – employees are not driven through perks and recognition for achieving results. What can you do as a leader to your team members? The answer is, align your team with your thoughts. It is like playing a multiplayer video game against computer as your opponent. The core message is, it doesn’t matter what you have or doesn’t have, it matters on what you are afraid of losing. If your stakes are high, you will not risk losing it and try to avoid losing at all times. This will make you give up on the values and the results. It will drive you more into a slave and push into the energy economy. To bring your team members from this scenario, you have to place a scale that weighs the results rather than energy. Give them a transparency to your goals and allow them to talk about potential obstacles in achieving the goals. If you want something done in two days but your team knows it will take closer to two weeks, give them permission to let you know. Encourage the employees who submit the work and get immediate feedback even if it is a bad one. Make them accountable for their actions. A concept when written or spoken as an idea looks so fine and easy. When you start to practice you will be able to identify the obstacles and fine tune them to perfection. 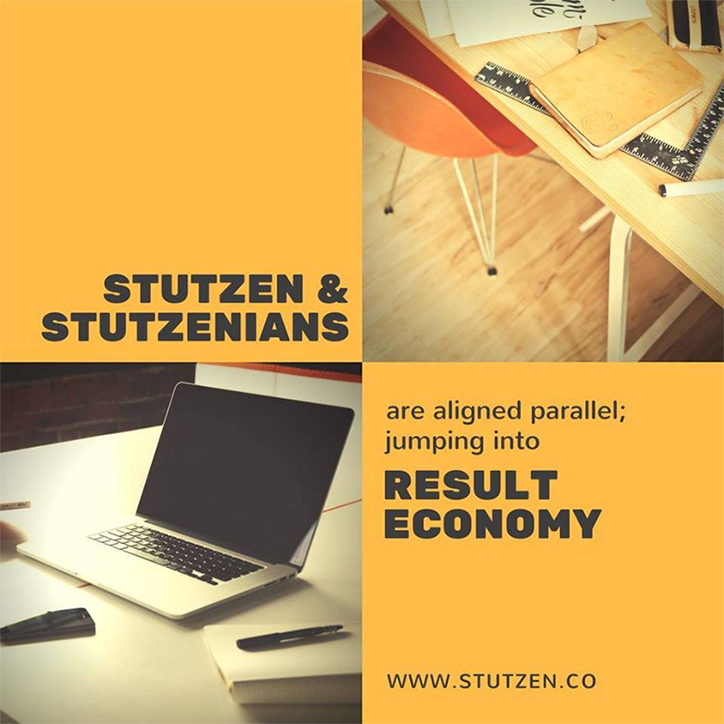 At Stutzen, Stutzenian’s align their production towards results rather than energy. We follow the “flow triggers and forcing functions” concept in development planning, budgeting, staff management, monitoring and evaluation, and decision-making in every project we sign. Our aim is to infuse the theories into the services and solutions we offer and deliver results with increased effectiveness. Integrated development planning is an organized and systematic approach at STUTZEN to development planning with a complete vertical integration. A clear focus on both product outcomes and impact is established. Integrated development planning covers both strategic planning of product priorities and cascading these priorities at contributing levels. Results-based budgeting is as a strategic management practice followed at Stutzen to assist in the improvement of resource management and it’s accountability. Results-based budgeting presents an integrated outcomes-based programme budgeting system to plan and manage financial resources. It also changes policies into realities. Evaluation monitoring means monitoring the essentials that focuses on the higher level outcomes. A routine collection and analysis of information is made to determine the progress against the goals of client. This assists us in identifying patterns and trends, adapting strategies and decisions for the better programme management. Business and psychology goes hand in hand. The Wednesday goods are the best ones and the courageous employees are the skillful ones. When you, your team and the goals are all aligned parallel with one another, there is a dramatic rise. We communicate with the customer as a single cross functional team with common goals & objectives; a collaborative approach that has proved effective across a diverse range of commercial projects. For the recent and fresh updates about the technology trends, you can always subscribe for our newsletters.